As we began our journey through the rain forests, we caught a glimpse of our ultimate destination! My legs felt like I had led stuffed into my hiking boots as I tried hard to lift my feet up to take another step but only managing to drag my feet mere millimetres above the grounds surface. If only I could muster up the energy to laugh I would have for there in that moment I was doing the “Kili shuffle” but with each step I knew it was bringing me closer to my dream. One of our lead guides who had raced ahead to Stella Point, was there pouring us a warm cup of tea. 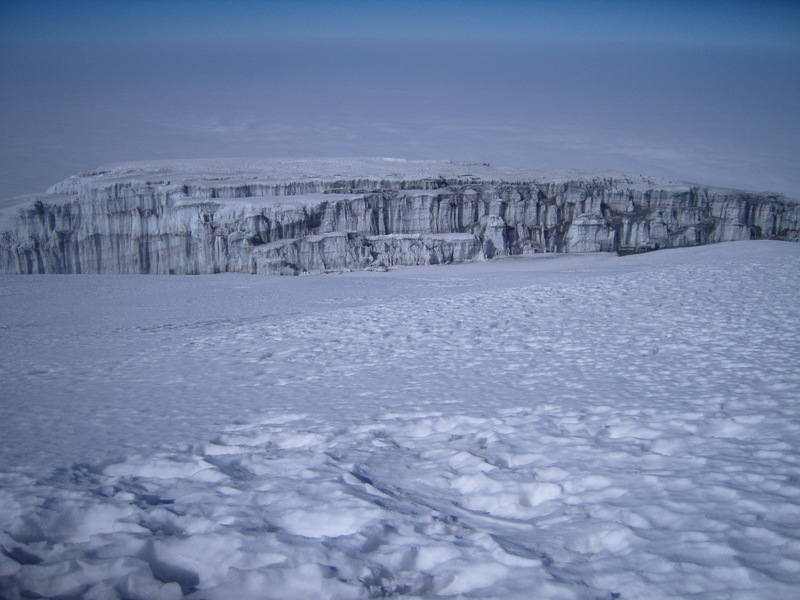 Along with my team, I sat down at Stella Point for a moments rest as we sipped on our tea. The goal was not yet in sight, but I knew it was close. Soon we were on our way again. The air was really thin and your body and mind are beyond exhausted. Knowing I was near the summit somehow spurred me on. The walk was slow but so much easier with a gentle climb up and nowhere near as steep as before, and the views of the Southern Icefields were out of this world beautiful. Stunning views of the Southern Icefield glaciers with clouds at the back covering the world below. The final steps to the summit. I was so close now! The ice path we walked on narrowed even more and I began tripping over my own feet, stumbling around like I was drunk. The wind was howling and despite the sun rising in the blue sky above, it was still bitterly cold. All of a sudden Donna stopped abruptly in front of me. Again, my head down and not noticing she had stopped I almost bumped into her. She turned around and looked me straight in the eye. She was crying. She said between the tears “Lara, look over there, up ahead.” I leaned to my right to look around her and for the first time I saw it. There not too far off in the distance was the sign we had longed to see all night. The sign that said “Congratulations” the sign that said you have arrived at the summit of Kilimanjaro. I started crying too and in that moment we hugged each other, both of us crying. I hugged Donna tight and told her “We gonna make it!” As we broke apart, I started laughing. Well, more like chuckling really as that was about all I could manage. I wanted to run but my body could only take one small step at a time. I wanted to scream and shout. I wanted to jump with pure joy. But what the mind wanted, the body was unable to do. Inside I was dancing! As I systematically put one foot in front of the other, taking my final steps to the summit, my mind was filled with giddy displays of images and emotions. The most predominant presence was Emma, my best friend who had succumbed to complications from Cystic Fibrosis 14 years ago. I thought of all the people who had contributed towards my fundraising for CF in order to help find a cure for this disease and to support those living with it. I thought of my family and friends back home. I remembered the first night on the mountain, standing in our campsite just above the rain forests when we saw the peak and how far out of reach it looked. Now I was about to stand on top of that peak. I had almost arrived. As we approach my heart was beating so fast and hard I was sure that everyone on top could hear it. Our fellow team members spotted us coming up and came rushing towards us. Between laughing and crying there was a frenzy of hugs and congratulations going around. The emotions finally spilled over, each one fuelled by so much emotion that we had carried along throughout the night. There was such joy in the air as we congratulated each other. Before you reach the summit you imagine all the photos you are going to take and how amazing it’s going to be. Truth is, you stand there and all you want to do it take the required photos and make your way down to Base Camp again. The cold is all-consuming and the exhaustion and lack of air is all too real. 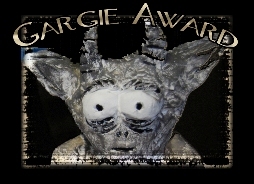 Physically I felt weak by pure exhaustion, while mentally I was ecstatic. Our turn at the sign came quickly and we posed for the obligatory photos. I pulled my banner out of my backpack, the one I had carried on me from Day One. The time had finally come to show the world. It is really not as glamorous as everyone thinks. The wind was so strong that all my team mates had to help me hold the banner. I wouldn’t have wanted it any other way. Except for Donna and I, we had all started as strangers and as we climbed we became friends. Friends who will forever share the incredible bond that we formed on that mountain. As the wind gusted we each grabbed a corner or edge of the banner and there in that moment my message to Emma unfolded at the summit along with my Thank You to each one who had helped me raise R20 000 for Cystic Fibrosis. The team with my banner at the summit. 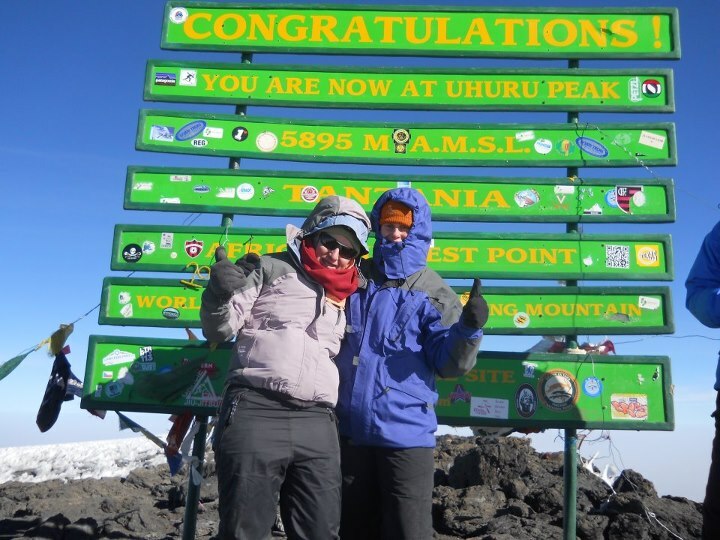 You are now at Uhuru Peak 5895 m A.M.S.L. 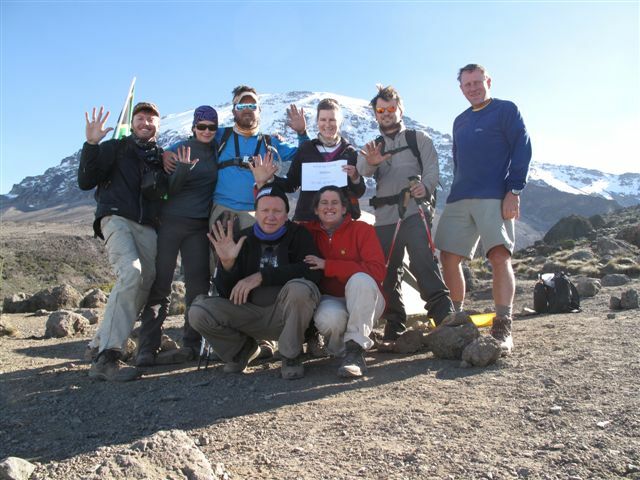 So much gratitude goes out to our amazing porters and guides who supported our incredible journey to the top. 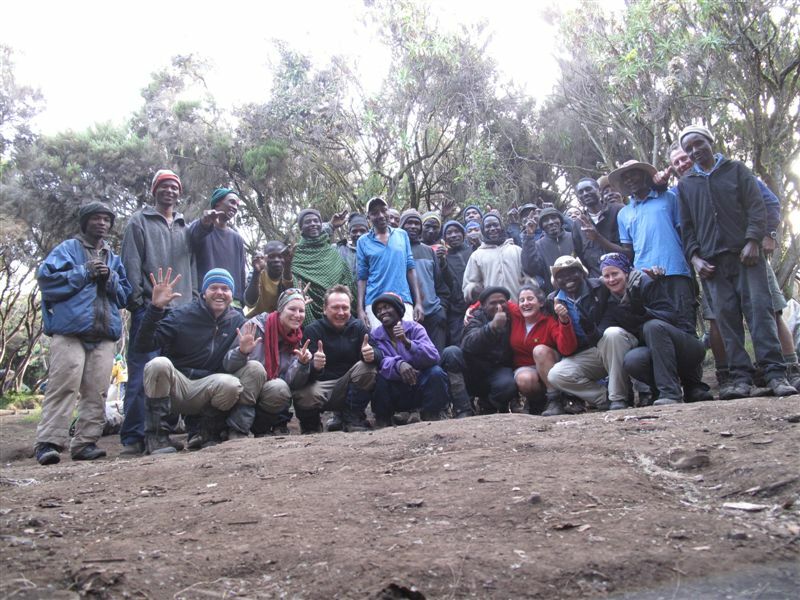 Happy 2 year anniversary to my amazing Kilimanjaro team. Thanks for the most incredible memories and for inspiring my dream to grow even bigger. My Seven Summit journey had begun…! I dared to dream a dream and it was more unbelievably incredible than I could have ever imagined! 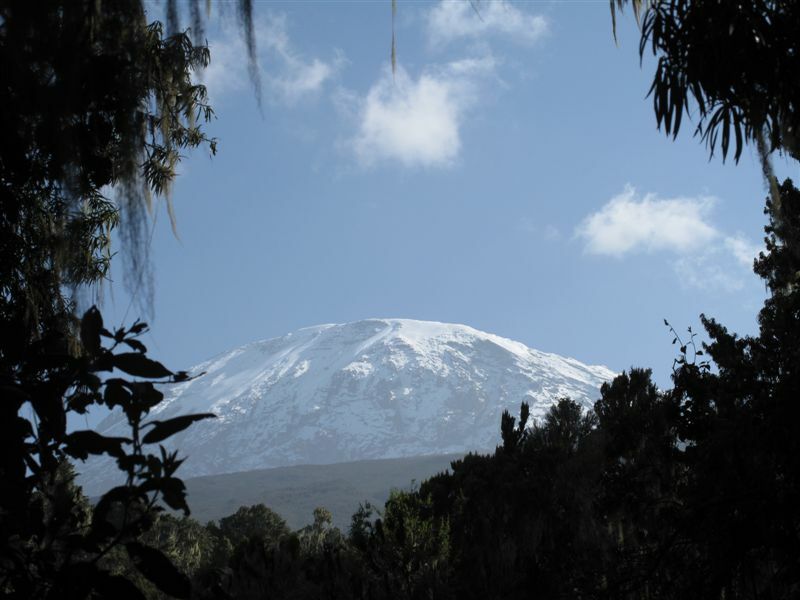 This blog piece is an excerpt from the chronicles of my journey to summit Kilimanjaro, where I wrote a day-by-day journal of my experience as I journeyed to the roof top of Africa. 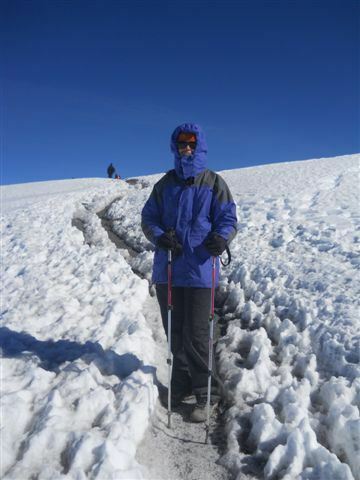 Since I wrote it, I have had many new blog followers so if you haven’t yet read the laughs, the tears, the agony and the ecstasy that was my journey, you can click on the link below and it will give you the full story to my days on the slopes of Kilimanjaro, plus all the photos. 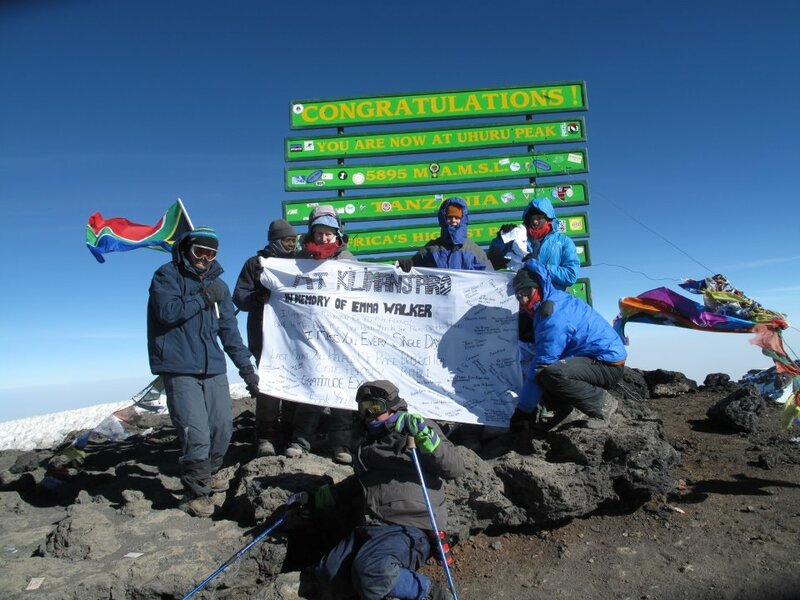 The Kilimanjaro Chronicles, A Journey to the Top of Kilimanjaro. As we speak my friend is at the airport in the UK where he is getting ready to board a plane to South Africa for the first time. This little 9 day series was inspired by him and as he prepares to visit South Africa for the very first time, I saved the best for last. 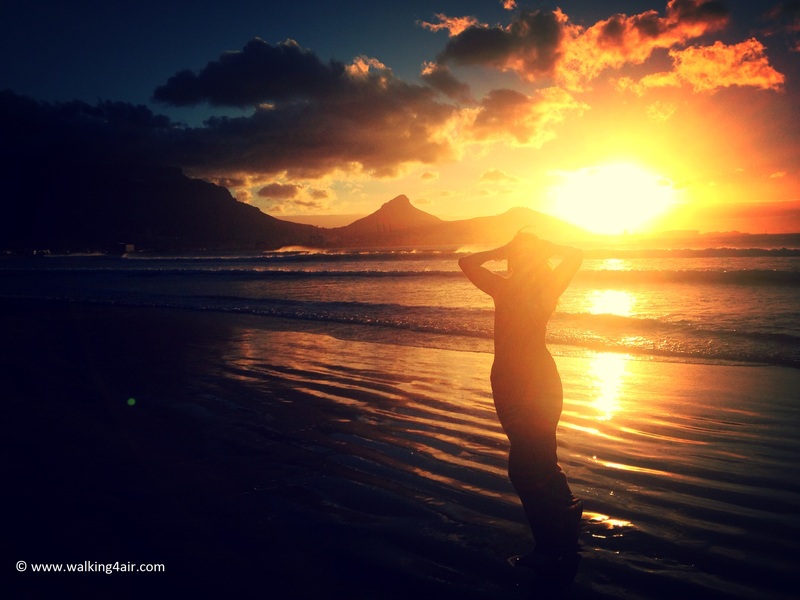 Making it to #1 on my list of reasons why you should visit Cape Town, South Africa undoubtedly (in my books anyway) is because here in the beautiful Mother City we have the most beautiful sunsets with the most perfect backdrop, Table Mountain. So it is only natural that these two make it together at #1 on my list. 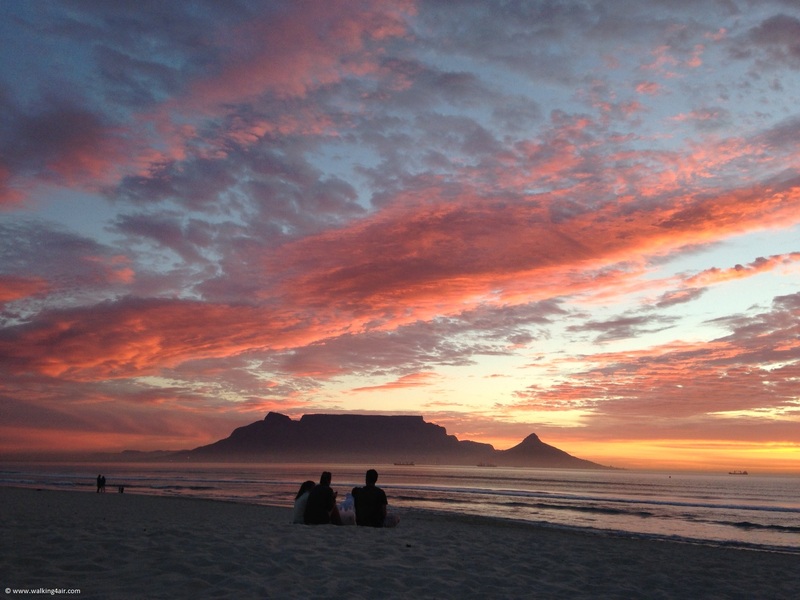 Table Mountain, was officially named as one of the new 7 Wonders of the World in November 2011. For us Capetonians it was a proud moment. Pictures never quite do wonders like this justice, it is something you have to see for yourself. 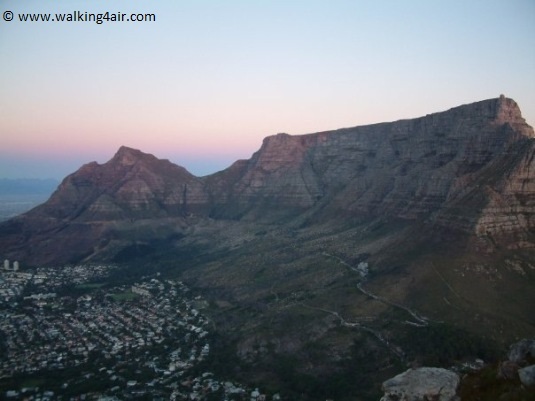 I have a love for all things mountains as most of my blog followers know and lucky for me there is no shortage of routes on Table Mountain with over 500 walking routes and if you include climbing routes, there are over 900! 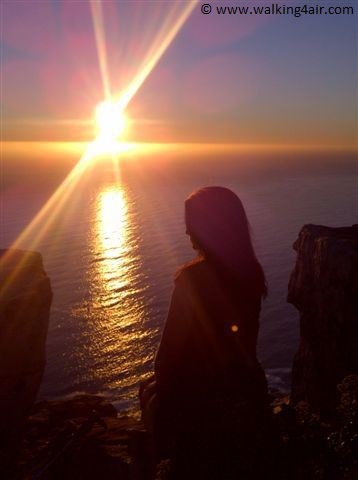 Throw in the most magical, jaw-dropping sunsets over the Atlantic Ocean with Table Mountain as the backdrop and we have a winner! 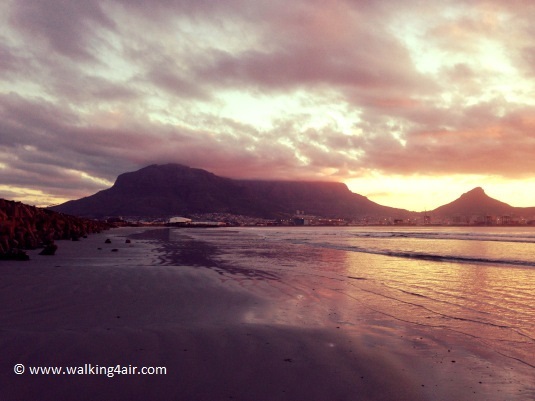 As you, my wonderful blog followers have seen, beside my love for mountain, I am an avid sunset hunter. I love nothing more than parking off at the beach on my way home from work and sitting in silence listening to the waves crash onto the shore as the orange disco ball of the sky falls below the horizon and in its wake setting the sky on fire. I have watched hundreds of sunset, yet each new sunset I watch is somehow more beautiful than the one before. Each one holding the promise of a new day, giving hope and possibility to anyone who stops to take the beauty of it all in. There is just something so magical about watching the sun set on any given day. It’s like nature, yet again, painting for us, pictures of infinite beauty. I really will never tire of watching the sun set. It’s with the sun having melted into another part of the world. And the darkness of night that begins to creep in. Behind you, the moon begins to rise. Above you, the stars came out. 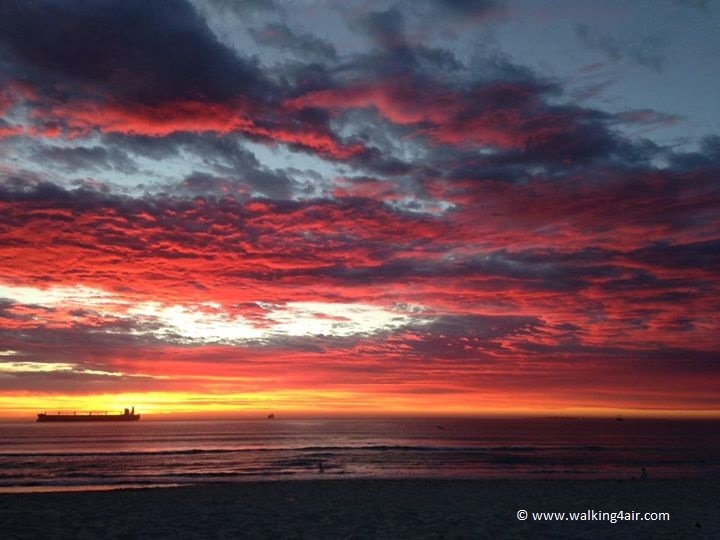 In Cape Town, that’s just another beautiful sunset on our doorstep, almost as if you were catching yet another glimpse through the gates of Heaven. The best sunsets are the ones you don’t miss! I hope somewhere in these past nine days I have inspired you to consider visiting my beautiful country. 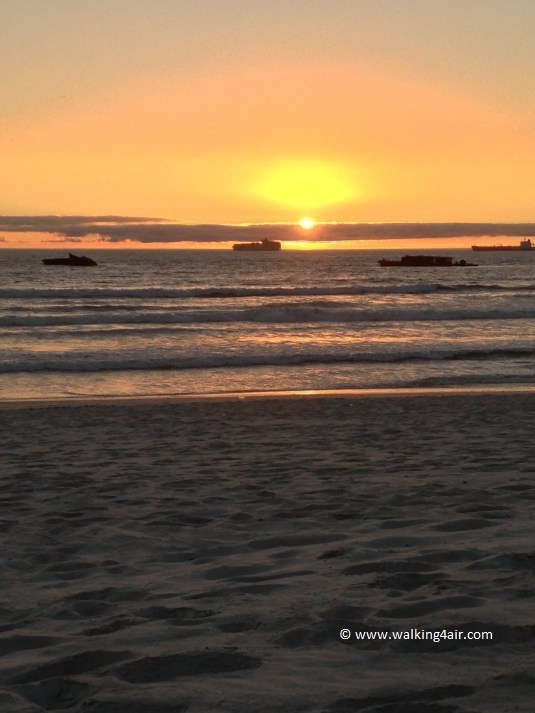 There is so much more to see and do and one thing I know for certain is that whatever you decide to do while visiting Cape Town, you won’t be disappointed! With my friend Charlie arriving tomorrow morning we will be venturing out all over Cape Town, getting up to mischief and doing the crazy things that friend do together and as always I will have my camera ready to capture it all and share it with you, so stay tuned!